The National Science Olympiad is one of the most reputed olympiads and is taken by thousands of students across the country. Conducted by the Science Olympiad Foundation (SOF) yearly, the exam tests a student’s aptitude in science. Class I to IV : The NSO exam has two sections – Section I (Mental Ability), Section II (Science). 10 questions are asked in Section I and 25 in Section II. To complete the whole test, student gets 60 minutes (1 hour). Class V to X: The NSO exam has two sections – Section I (Mental Ability), Section II (Science). 15 questions are asked in Section I and 35 in Section II. 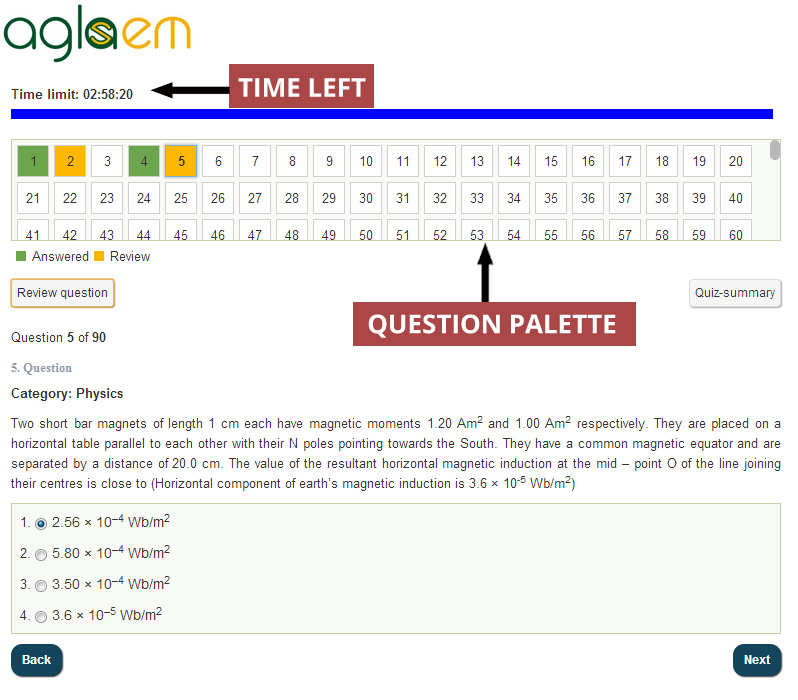 To complete the whole test (50 Questions), student gets 60 minutes (1 hour). Class XI and XII: The exam is conducted separately for Engineering (PCM) and Medical (PCB) students. Section I is either Mathematics of Biology, with 20 questions. Section II is Physics and Chemistry, with 30 questions. Over the years, the exam has become fiercely competitive, and it is a matter of pride and honor to be among the toppers of the exam. To help you succeed and make this dream come true, given here are NSO Mock Tests. Each of these tests are designed so as to let the student have a hands on experience of the exam. It helps know the level of difficulty of the NSO, the types of questions asked and most importantly lets you analyse how your preparation is and proceed accordingly. Take the test now ! – Free NSO Mock Tests and Analysis. At the end of the exam, you will be given a detailed analysis of your performance. NSO Mock Test allows all the Olympiad test takes to practice for the National Science Olympiad exam. Candidates can use the Mock Test for NSO to know the instructions, the procedure for the exam. Candidates can check the instructions, screen details below to get a better idea of the exam and prepare better.